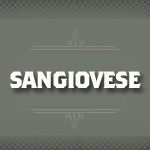 Sangiovese is a Italian red wine grape variety used in such blends as Chianti, Carmignano and Tignanello,and most famously known outside Italy as the sole component of Brunello di Montalcino and Rosso di Montalcino. 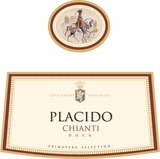 Wines produced have medium tannins and high acidity. Red fruit, strawberries, sour cherry, tea leaves and earthy notes are present and with aging oak and tar appear as well.